The piece of land purchased for the location of the new Health Center was small and sloping, which presented challenges in both building design and provisions for ample parking. 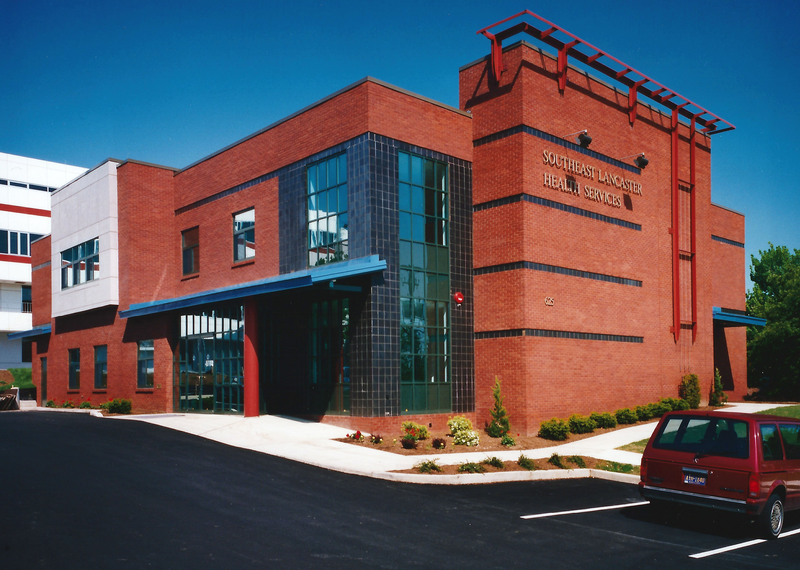 We optimized the space with a two-story building design and used retaining walls to maximize the size of the parking area. Medical and dental treatment facilities are on separate floors. Access between the floors is available by stairs or elevator, centrally located at the main entrance. A half basement area was constructed for record storage, with a dumb waiter used to move files from the record room to the nurse’s stations. The contemporary building design blends well with the surrounding neighborhood. 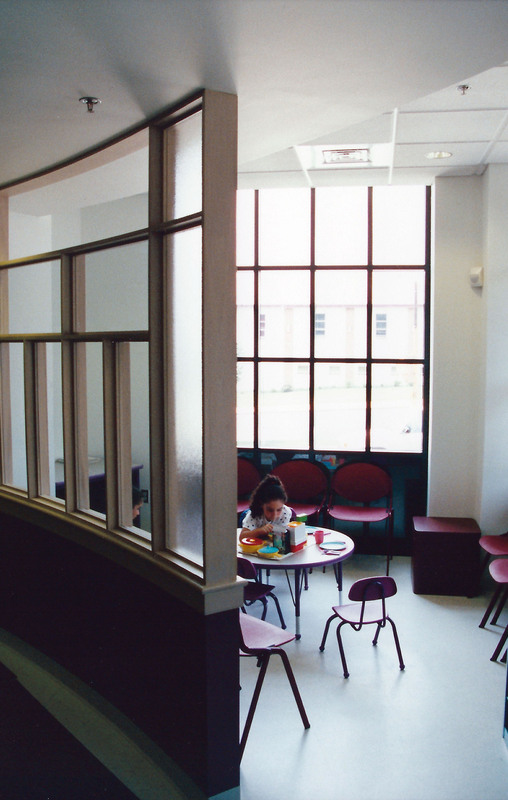 The brick exterior with steel trellises is similar to buildings in nearby residential areas. 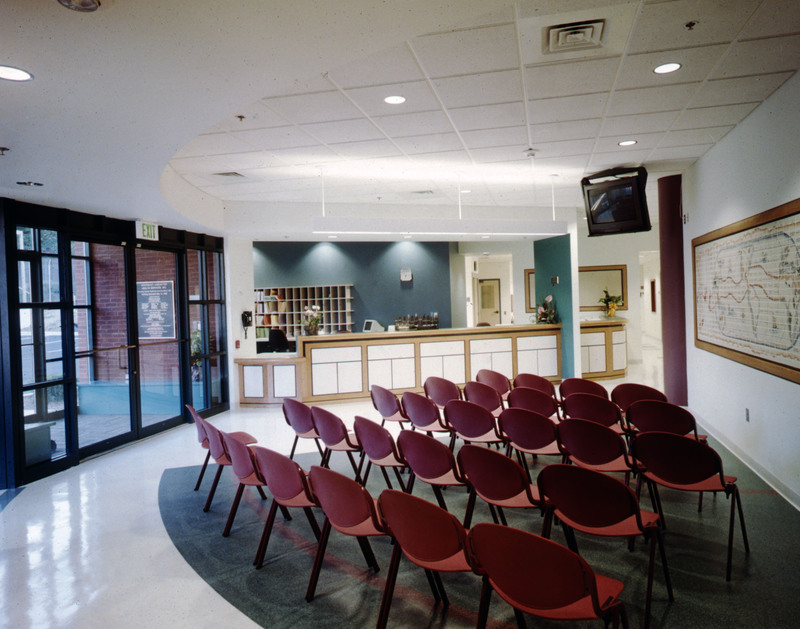 The main entrance is wide and easy to access from the parking lot, with ample room for drop-off of handicapped patients at the door. The medical facility reception area includes a combination of recessed and linear lighting for brilliant illumination, patterned flooring that defines the seating area, and a multi-level reception desk that provides easy interaction at check-in while giving staff privacy for their work. Rows of seating face the ceiling mounted television to provide entertainment for patients waiting for appointments. The wood panels on the façade of the reception desk incorporate exterior design elements within the building. 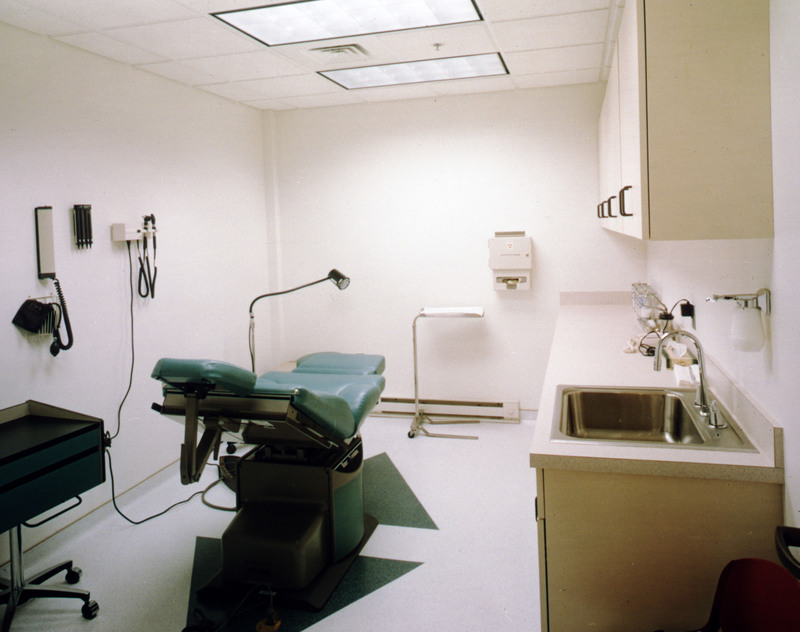 This operatory room in the medical facility is designed with everything essential during medical operative procedures. There is ample space for nurse assistants, a clean, hygienic atmosphere, plenty of countertop space, and cabinet space for quick access to supplies. Flooring is monolithic welded seam vinyl typically used in surgical rooms, that keeps the floor free of voids or joints so pathogens or bacteria can’t collect in the flooring. 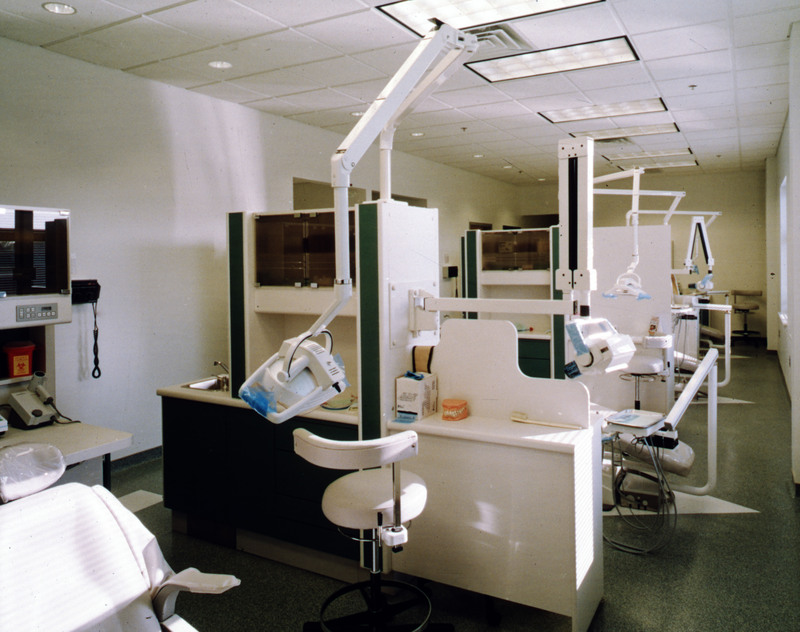 An open layout for dental treatment stations is the ideal solution considering the limited amount of space available in the dental facility. Light colors and ample lighting from recessed lights, ceiling panels, and windows, keep the space cheerful and bright for patients and staff alike. Individual treatment stations are designed for maximum efficiency with all tools and supplies within easy reach.